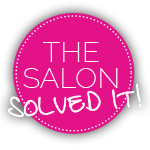 The first ‘smart’ hairbrush is coming. But do we need it? 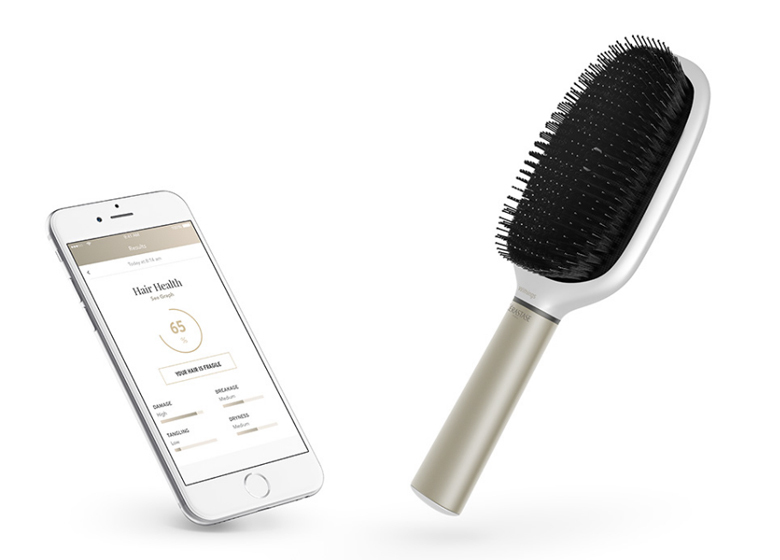 A ‘smart’ brush that tells you whether your hair is too dry, how many split ends you have, if you’re brushing too hard and how the weather may be affecting your hair is launching later this year. Sounds like exciting times, but do we really need it? Here’s what we know at this stage. It’s been created by Kérastase and Withings, a sister tech company to Nokia. And combines a physical paddle-style brush alongside an app downloaded onto your smartphone. The brush is fitted with a microphone to capture the hair’s sound waves. 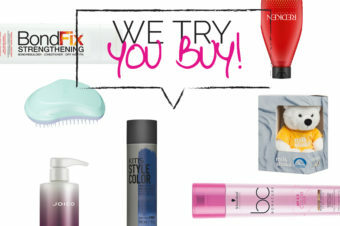 This helps identify frizziness, dryness, split ends and how damaged your hair is. There is also a gyroscope that analyses how quickly and forcefully you’re brushing your hair. An accelerometer counts brush strokes and it comes with a vibrating handle to help guide you to better brushing. All of this info is then stored onto the app which gives you an overall hair score, hair analysis and of course, recommends Kérastase products. This all sounds like the extra whizz bang gadgets you get with your electric toothbrush that tell you how well (or badly) you’ve brushed your teeth. But do we use it? No, we just clean our teeth, normally whilst doing something else, and then get on the with the rest of our day. 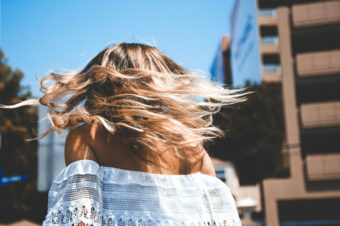 Do we need an app and a clever hairbrush simply to tell us that we’re not doing it as well as we could be and that our hair isn’t in the best condition it could be? Well, until we’ve tried it we can’t say and we’ll have to wait a few months as it’s not due to launch until the middle of this year. Oh and it comes with a price tag of £160. Will it be worth it? Lets wait and see.